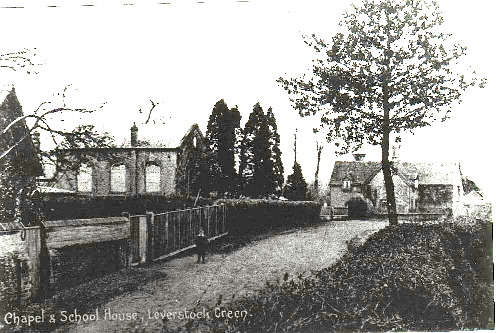 The log books for Leverstock Green School commenced in 1863, when their keeping was made compulsory as the government made grants available to schools for the first time. This particular log didn't start until October 12th. Presumably school had been in session from the end of August or beginning of September. Why no logs appear for these earlier months I'm not sure. A selection of scanned pages from the log can be seen by clicking here. Commenced October 12th by Helen Key Purvis. Monday October 12th - 1st class. Number present 19. No. on register, II. (N.B. Perhaps she meant 21!!) 2 - ill - 1 Scarlet fever - 1 Diptheria. II class. No. present 13. No. on register 19. - 2 ill - rest leave. III class. No. present II. No. on register 14. -1 ill. rest leave. 1V class. No. present 15. No. on register 18.- 1 ill, rest leave. No of children ill,6 - School visited by Rev. R. Helme . Wednesday Oct.14th - Mrs. Key junior superintended needlework. Thursday Oct.15th - Numbers smaller than usual owing to the market. - and wet weather. Friday Oct.16th - Weather fine. Numbers better - Mrs. Key visited. Monday October 19th - Admitted 1 boy in 1st class, one returned, C.Wilson - recovered from fever. Tuesday Oct. 2Oth - Wet and cold, 2 children ill with fever - one, (Cooper) died. Jane Cooper kept in to do writing. Parents kept her at home in afternoon in consequence. Wednesday Oct.21st - Fine day, school pretty full. Friday. - Fine day - Full school. Taught 1st class Compound Division. Improvement in dictation. Improvement in 2nd class reading. October 26th - Weather fine - numbers fair. Moved S.A.Martin from 2nd class into 1st class on trial. Tuesday. - A mother who has 4 children in school (Sally Thopham),visited the school for 1 hour - saw children at lessons and expressed great satisfaction. Wednesday - School visited by Miss. C. Key. Thursday - Improvement in 1st class dictation. Friday - Very wet all day - Scarlet fever still prevalent - children away from illness. Monday - Visit from Rev. R. Helme - Numbers fair. Tuesday - Numbers better - weather still wet - work superintended by Miss Key. Wednesday.- Numbers very fair. Still windy and wet. Tiles blown off school - work superintended by Miss Key. Thursday - Numbers small - only 58 in morning - owing to the wet and market. Friday Numbers V.F. Weather cold but fine. Plait going better in the market, consequently more plaitters in school. II plaitters - 8 workers in the afternoon. Monday - Visit from Rev. R.H. Admitted 1 boy to the 3rd class - aged 9 years - can't write. Tuesday - Very wet and cold - Numbers small. Wednesday - Numbers better. 1st class commenced dictation in books ( mine ), work superintended by Miss Key. Thursday - Numbers small owing to the market. Friday - Numbers fair - 8 workers - 7 plaitters. Monday - S. Bonnick left because of cold weather. School visited by Rev. R. Helme. Tuesday - Numbers very fair. Wednesday - Work superintended by Miss. R. Key. Thursday - Numbers small - market. Visit from Rev. R. Helme. Friday - Numbers fair,weather fine. 2nd class improving in dictation. 1st class in arithmetic. Number of workers increasing - 4th class smaller in numbers. Tuesday - Very wet, only 38 present in the morning. Wednesday - Improvement in the 1st class arithmetic. Friday - Weather still foggy and damp - plait going well - but workers exceeded plaitters. Commenced selling II Reading B to 2nd class - at 4d each, cost price 3d. 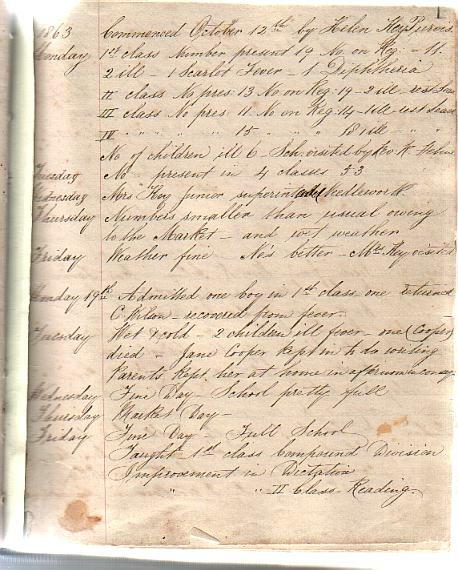 Monday - Admitted one boy to the 4th class - William Doult - aged 3 years & 4 months. Tuesday - School visited by Rev. R. Helme. Thursday - Still wet - only 37 present. Monday - Re-admitted William Carrol. Wednesday - Weather very wet. Friday - 52 present - workers exceed platters. Children come very late in morning - excuses from parents - children have to plait before school hours. Monday 4th - Commenced school with 42 children after having had a fortnights holiday - 5 children absent through illness - admitted Elizabeth Stuart to III class - just able to form small letters. - Visit from Rev. R Helme. Tuesday - Admitted F. Seabrook to 2nd class - age nearly 13 - can scarcely make figures, write small words - read by spelling such words as horse - they. School visited by Rev. R. Helme. - Numbers present 44. Wednesday - Weather very cold, numbers small. Thursday 7th - Examined II class - found them deficient in tables - also in spelling. Friday 8th - Two boys in 1st class - leave for plait - children come to school half past 9 - quarter to 10 on account of severity of weather. Numbers present 44 - Average number 41.6. - preceding years 39.9, 32.9. Monday IIth - Admitted Richard Scrivener to 2nd class age between 12 -13 - cannot form letters, spells monosyllables - 46 present. Tuesday 12th - 52 present in morning - school visited by Rev. R. Helme. Work inspected by Miss M. Key. Wednesday 13th - wet day, numbers smaller. Friday 15th - Rev. R. Helme examined 1st class in Arithmetic, simple division. 3 sums worked - half worked all right - whole class worked 2 right. Dictation - half class had it correct, greatest number of mistakes 3. Monday 18th - Readmitted C. Lee to first class - Sch. visited by Rev. R. Helme - work superintended by Miss M. Key. Tuesday 19th - Three children absent from sickness - weather very wet and foggy. Wednesday 20th - Examined second class in writing, great improvement. Thursday 21st - Numbers rather small - improvement in 1st class spellings. Friday 22nd - 53 present throughout the week - visit from Rev. R. Helme - work superintended by Miss Key - taught 1st class boys compound addition. Monday 25th -Re- admitted Sarah Deacon to 1st class, also James & Agnes Franklin to 3rd class. Tuesday 26th - Examined 2nd class in reading - improved much - work superintended by Miss Key. Wednesday 27th - Rev. R. Helme visited and examined 1st class in Dictation - spelling deficient - Questioned in Holy Scripture - answering very fair - deficient in latter part of Catechism. Thursday 29th - Examined 3rd class in reading - much improved - also in numeration. Friday 30th - Visit from Rev. R. Helme who examined 2nd class in reading, expressed satisfaction also in Holy Scripture. 2nd class weak in numeration. 58 present throughout the week - Work superintended by Miss Key. School visited by Mrs. Bransby Key. Monday 1st - Readmitted three Franklins from Norris's Kiln - 2 others Market Oak - Received notice of P.T. 's Examination to be Feb.13th. Commenced new register. Tuesday 2nd - Examined 3rd class in capitals - work superintended by Miss Key. Thursday 4th - Numbers smaller than usual - Market Day. Friday 5th - Snow very thick on ground - small school. Workers exceed plaitters - improvement in work. Monday 8th - School smaller in number than in preceding week - owing to illness - and bad weather. Tuesday 9th - Visit from Rev. R. Helme. Examined 2nd class in reading. Wednesday 10th - Work superintended by Miss R. Key - Ash Wednesday older children went to Church at II o'clock - infants remained in school. Thursday IIth - Took the needlework, found great improvement - decrease of plait - an increase of workers. Friday 12th - Very wet all day - only 9 in the morning - 21 in the afternoon - visit from Rev. R. Helme. Monday - Four children ( Kinghams ) absent - fever - 3 in 1st class away 2 from home circumstances. Tuesday 16th - Visit from Rev. R. Helme - numbers fair. Wednesday 17th - Received notice of school inspection - to be the following Tuesday. Thursday 18th - Numbers rather small - Market day - weather very cold. Friday 19th - Weather still very cold - examined two upper classes in numeration - with one or two exceptions very fair. School washed. Monday - Visit from Rev. R. Helme - 4 children still absent from scarlet fever. Tuesday 23rd - Helen K. Purvis, Certified Mistress of the 3rd Division of the 2nd degree of merit. Mary Ann Miles, Pupil Teacher of the 2nd Year. Wednesday 24th - First class went to church - commenced selling III B II & sequels - began school at half past 1 0'clock in afternoon - so as to mark register at 2. Thursday 25th - Taught 1st class composition and II S Xn - 3rd class began copying print. Friday 26th - 2nd class went to church - taught 3rd class small letters and figures - II workers - 8 plaitters - several from illness - great improvement in Marion Miles Teaching - more earnestness and energy shown. Monday 29th - Weather very wet - 3 children returned from illness. - 2 absent 1 ill.
Tuesday March 1st. - Lucy Martin left school because her mother required her at home. Wednesday - First class went to church - visit from Rev. R. Helme. Friday 4th - Children went to church - school visited by Rev. R. Helme. W. Doult away today - has the fever.- M.A. Miles not attentive to ORDER of class. Monday 7th - School visited by Rev. R. Helme - work superintended by Miss M. Key. 10 workers and 9 plaitters. Tuesday 8th - Taught 1st class compound subtraction. Wednesday 9th - Very wet all day - thick snow. 24 children present including 2 attendances not counted in register. Thursday 10th - School small owing to the weather. Friday IIth - 2nd class went to church - visit from Rev. R. Helme. Monday 14th - School visited by the Rev. R. Helme - several children still away through illness. Tuesday 15th - The Rev. R. Gee (Diocesan ) inspected the school and reported favourably of the school. He seemed especially pleased with the notation and with the clean appearance and good behaviour of the children. Wednesday 16th - 2nd class went to church - visit from Rev. R Helme. Work superintended by Miss Nina Key. Thursday 17th - Numbers small owing to the market. Friday - 1st class went to church. Monday - Being Passion week - 1st class went to church in the morning at II o'clock. Tuesday 22nd - M. Cooper taken with Scarlet Fever - also John Barnes - 5 children away in consequence of it. Wednesday 22nd ( these are the dates given in the log, and incorrect!) -1st class went to church - finished dictation books - had the desks changed to opposite side of room - stove altered. Thursday 23rd - School closed for Easter vacation. March 26th - Summary of inspector's report of the school. "The school is in nice order and attainments are very fair." The attention of the managers and master is requested to supplementary rules 9 & 12 : a careful observance of which will be looked for in the future. Monday IIth - Commenced school after the Easter holidays - with 42 children - admitted three. Tuesday 12th - School visited by Rev. R. Helme - work supervised by Miss N. Key. Wednesday 13th - Jane Cooper died of scarlet fever - after being ill only 9 days - she was remarkable for her sweetness of temper - attention to lessons and good conduct. Thursday 14th - School visited by Miss Key. Friday - Marion Miles absent from duty on account of illness. Monday 18th - School visited by Rev. R. Helme - several children returned who have been ill.
Tuesday 19th - Had monitors out of 1st class to assist in teaching younger children. Wednesday 20th - work superintended by Miss Key. Thursday 21st - Numbers small owing to the market. Friday 22nd - Examined first class in dictation - improvement in writing - school visited by the Miss Keys. Monday 25th - Marion Miles returned to school after having been absent a fortnight from illness - received note from Doctor certifying her incapacity of returning before - admitted several children. Tuesday 26th - One boy returned recovered from fever - numbers larger than previous week. Wednesday 27th - Examined 1st class in arithmetic - found them much slower than before the holiday. Thursday 28th - Work superintended by Miss N. Key. Friday 29th - Improvement in needlework - children making articles of clothing for themselves. Monday 2nd - Being May Day many of the children had leave to go "Maying". Tuesday 3rd - School visited by Miss Key. Wednesday 4th - Very wet all day - work superintended by Miss Key. Thursday 5th - Being "Ascension Day " the first class went to church. Friday 6th - Numbers better - great improvement in 1st class writing - also in 2nd class reading. Monday 9th - School visited by Rev. R. Helme - very wet all day admitted several children. Tuesday 10th - Numbers increasing - children still come late in the morning. Wednesday IIth - Sermon in Hempstead Church for Herts Education Board - by Rev. J. Menet of Hockerill - had half holiday to attend. School left in charge of M. A. Miles P.T ( pupil teacher ). Thursday 12th - School visited in afternoon by Rev. R. Helme. Friday 13th - Very warm - older children leaving to go to work - 14 plaitters - 3 younger boys plaitting - 8 or 9 workers during the week - regular. Monday 16th - Whitmonday - owing to the smallness of the school preceding year - half holiday given for children to go to Green Fair. Tuesday 17th - School visited by Rev. R. Helme. Wednesday 18th - School visited by Miss Key. Thursday 19th - Market day. Friday 20th - Examined 3rd class in reading - improvement in conduct of 4th class. More energy shown by Miss M.A. Miles in teaching. Monday - School visited in morning by Rev. R. Helme. Tuesday 24th - Examined 2nd class in reading. Wednesday 25th - Taught 1st class to multiply by 100. Thursday 26th - Hempstead Fair day - many of the children who were in school by half past 1 left school by half past 3 o'clock to go. Friday 27th - School visited by Miss Key. Improvement in needlework - more workers during the last week. Monday 30th - School visited in morning by Rev. R.H.
Tuesday 31st - Examined first class in arithmetic - improvement in 2nd class reading. Wednesday June 1st - School visited by Miss N. Key. Thursday 2nd - Work superintended by Miss M. Key. Friday 3rd - School visited by Rev. R. Helme - very wet all the morning. Monday - Sch.. visited by Rev. & Mrs. Frampton -(former clergyman), Mrs. Brandsby and Miss Key - heard the children sing expressed their satisfaction on the state of the school in general. Tuesday 7th - Visit from Miss Aston Key and Mrs. Frampton - examined the writing, heard the children sing - and repeat tables. Wednesday 8th - Visit from Mrs. Frampton heard 1st class read - and 2nd class arithmetic. Thursday 9th - Work superintended by Mrs. Helme. Friday - School visited by Rev. R. Helme - also by Mrs. Frampton - who examined the needlework - plaitting rather on the increase - larger numbers of children present during the week than in any other previous week - since the opening. Monday 13th - School visited by Rev. R. Helme - work superintended by Miss M. Key. Tuesday 14th - Mrs. Helme came to attend needlework. Wednesday 15th - Examined 2nd class in writing. Thursday 16th - Numbers small - several boys left to go to bird keeping. Friday 17th - Miss Key has the use of the Infant's Room every Friday afternoon for the purpose of an adult class ( girls). Work attended to by Miss Kate Key. Tuesday 21st - Sch. visited by Miss Cooper & Miss Nina - work superintended by Miss Kate. Wednesday 22nd - Absent from school in consequence of illness - Marion Miles in charge. Thursday 23rd - The same. Friday 24th - In school in the afternoon - visit from Rev. R. Helme. Monday - School visited by Rev. R. Helme. Work superintended by Miss Nina. Tuesday 28th - Examined 2nd class in Reading - Miss Kate examined needlework. 29th - School visited in afternoon by Rev. R. Helme, work superintended by Miss Nina. Thursday 30th - Market day - numbers small in consequence - work superintended by Miss Kate. Friday 1st - July 1st 1864 - School visited by Rev.R.H. Work superintended by Miss Kate. Monday - July 4th - School visited by Miss Nina - who superintended needlework. Tuesday 5th - Choir Tea held in Parsonage grounds. Wednesday 6th - Work superintended by Miss Kate - Numbers in first class much smaller, boys gone to work. Tuesday 12th - Numbers better. Wednesday 13th - School visited by Mrs Helme who superintended needlework. Thursday 14th - Market day. Friday 15th - School visited by Rev. R. Helme - also by Miss Kate - work improving - more children working lately - plait not selling so well. Monday - July 18th - school visited by Miss Nina who superintended needlework. Tuesday - School visited by Rev. R. Helme - work superintended by Miss Kate. Wednesday 20th - Mrs. Helme came in the afternoon and took the needlework. Thursday 21st - School visited by Rev.R. Helme & the Miss Keys - Miss Key had her class. Friday 22nd - Children's annual tea in the meadow. Had to leave directly after tea in consequence of the rain. Monday 25th - School visited by the Rev. R. Helme,work taken by Mrs Helme. Tuesday 26th - Visit from the Rev. R. Helme - work taken by Miss Nina Key. Wednesday 27th - Numbers decreasing. Boys all left in 1st class, but one - to go to work. Thursday 28th - School visited by Miss Kate who took the needlework. Friday29th - Sch. visited in afternoon by Mrs. Helme and lady friend - also by Miss Keys. Monday - August 1st. School visited by Miss Nina who assisted with the needlework - visit from Rev. R. Helme. Tuesday 2nd - visit from Miss Nina who assisted with the needlework. Wednesday 3rd - Visit from Miss Kate in the afternoon who helped with the needlework. Thursday 4th - School visited by Mrs. Helme and Miss Nina - closed at 4 o'clock for the Harvest Holidays. Monday 5th - Opened school after four weeks vacation, entered three new scholars. Tuesday 6th - School visited by Rev.R. Helme - Mrs. Helme assisted with the needlework. Wednesday 7th - Bricklayers at work - new fireplace. Thursday 8th - Kept school in small room - because of the workmen in the large room. Friday 9th - Mrs. Helme came in the afternoon to assist with the needlework. Monday - September IIth. School visited by the Rev. R. Helme for the Club - held in the Infants Room. Tuesday - Mrs. Helme assisted with the needlework. Wednesday - Very wet - visit from Rev. R. Helme. Thursday - Market day - school rather small. Friday - School visited by Mrs. Helme - to help with needlework. Monday - School visited by Rev. R. Helme - to hold The Club in Infant's Room. Tuesday - Commenced new books in first class for dictation exercises. Wednesday - Examined 2nd class in reading - not sufficiently intelligible yet. Thursday - Market day - Mrs. Helme assisted with needlework - plait rather on the increase. Monday - September 26th. School visited by Rev. R. Helme previous to his going away for the week. Tuesday 27th - Numbers better than during the three previous weeks - weather very fine. Wednesday - Examined 4th class in letters. Thursday 29th - Numbers rather small - Market day. Friday 30th - Number of workers smaller than usual. No visitors throughout the week. Monday - October 3rd. School visited by Rev. R. H. to hold club in Infant's Room. Tuesday 4th - Elizabeth Seabrook died very suddenly on Friday last;at school on Thursday afternoon - buried thus afternoon at half past 4 o'clock - took two upper classes to the Service. Wednesday 5th - Children felt the cold very much today - especially the plaitters. Thursday 6th - School small in consequence of Market - several of the 4th class absent through colds. Friday 7th - Number of plaitters larger than workers. Monday 10th - Visit from Rev. R. Helme to hold club. Mrs. Helme came in the afternoon. Tuesday IIth - Being St. Alban's Fair - many of the children had leave. Wednesday 12th - Rev. R. Helme visited school. Thursday 13th - Mrs. Helme came in the afternoon to assist with the needlework. Friday - School visited by Mrs. Helme. School engaged in the evening for Mrs. Bussey's entertainment. Monday 17th - Took Coal Club in the morning for Rev.. Helme who was going to Brighton. Tuesday 18th - Numbers not very large owing to children acorning - Commenced Evening School. Wednesday 19th - Men commenced whitewashing the large room - kept school in small room. Thursday 20th - The same. Friday 21st - School very small today - acorns being plentiful this season - children sent to gather them. Monday 24th - School visited by Rev. R. Helme. Miss Nina assisted with needlework. Tuesday 25th - Visit from Rev. R. Helme. Wednesday 26th - Left school in charge of Marion while I went into Hempstead to the Doctors. Thursday 27th - Numbers rather small - men finished the school rooms. Friday 28th - Miss Nina assisted with the needlework. Monday 31st - Numbers rather small - no one visited the school - had to caution Marion Miles respecting her behaviour and conduct in school. Tuesday - November 1st. School visited by Miss Kate who assisted with the needlework. Wednesday 2nd - Miss Nina helped with needlework. Thursday 3rd - Market day - Very cold - let the children go for a run as far as Market Oak. Friday 5th - Very fine but cold - children went for 15 minutes with teacher for a run to Market Oak. Monday 7th - Had to close school till Wednesday morning on account of rooms being painted. Wednesday 9th - Only 28 children present. No one visited the school today. Thursday 10th - Charged the children a 1d for the three days. Friday IIth - School visited by the Miss Keys - all the girls did an hours needlework in the morning. Monday 14th - School visited by Rev. R. Helme. Tuesday 15th - Miss Nina assisted with the needlework in the afternoon. Wednesday 16th - Very wet - Miss Kate visited. Thursday 17th - Market day. Friday 18th - Miss Kate visited and helped with the needlework - plait not going so well. Monday 21st - Mrs. Helme visited the school for a short time - numbers better. Tuesday 22nd - 4th class decreasing in numbers on a account of the cold weather. Wednesday 23rd - Miss Kate came in the afternoon to help with the needlework. Thursday 24th - Very wet all day,numbers fair. Friday 25th - Rev. R. Helme visited the school during the afternoon - not so many plaitters during the week. Monday 28th - School visited by Rev. R. Helme. Tuesday 29th - Miss Kate came in the afternoon to assist with the needlework. Wednesday 30th - Miss Nina visited the school. Thursday - December 1st - Miss Kate came in the afternoon to help with the needlework. Friday 2nd - Rev. R. Helme visited the school. Examined first class in Dictation - improvement in spellings - also in 2nd class reading. Monday 5th - School visited by Reverends Helme and Gee for the purpose of holding club in Infants Room. Tuesday 6th - Miss Nina came in the afternoon to assist with the needlework. Wednesday 7th - Miss Kate visited. Thursday 8th - School visited by Rev. R. Helme in the morning. In the afternoon by Mrs. Helme who helped with the needlework. Friday 9th - Numbers fair during the week - more workers than plaitters. Monday 12th - Rev. R. Helme visited the school to take the Club in the Infant's Room. Tuesday 13th - Miss Kate came in to assist with the needlework. Wednesday 14th - Miss Nina visited in the afternoon. Thursday 15th - Rev. R. Helme came in. Friday 16th - Miss Kate visited for a short time. Monday 19th - Rev. R. Helme visited the school. Miss Keys commenced Xmas decorations. Wednesday - Children came to school all day and in the afternoon had Tea - in the evening the parents came to see children receive their rewards for attendance - hear them sing. N.B. 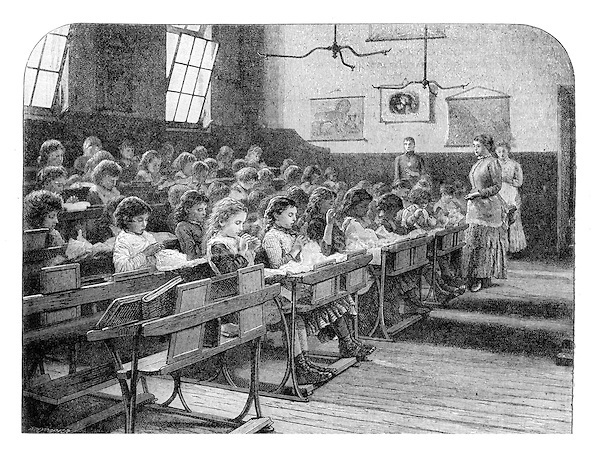 Education in the19th Century. 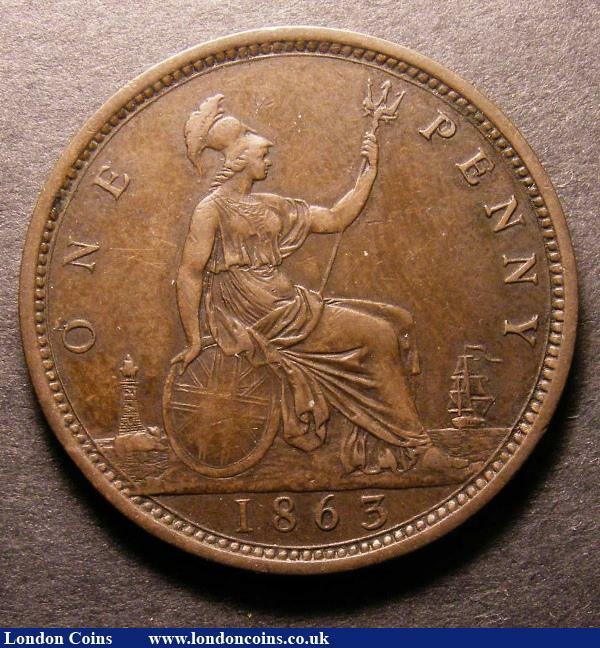 Most early Victorian Schools were set up by religious groups. 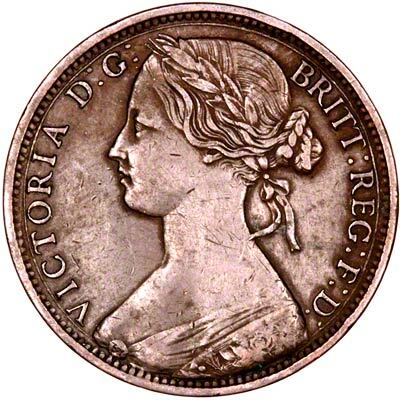 The most prominant being the National Society which was run by the Church of England. The National Society had a code of regulations and employed "Her Majesties Inspectors" Leverstock Green schol was a National Society School. Full state control of education was only established by the Elementary Eduation Act of 1870, and was not made compulsory until 1880. A charge was levied for each pupil until 1891 when elementary education became free; 2d a week for each child until 1876 when it was then reduced to 1d.